The new third edition of this highly regarded introduction to Java networking programming has been thoroughly revised to cover all of the 100+ significant updates to Java Developers Kit (JDK) 1.5. It is a clear, complete introduction to developing network programs (both applets and applications) using Java, covering everything from networking fundamentals to remote method invocation (RMI). Java Network Programming, 3rd Edition includes chapters on TCP and UDP sockets, multicasting protocol and content handlers, servlets, multithreaded network programming, I/O, HTML parsing and display, the Java Mail API, and the Java Secure Sockets Extension. There's also significant information on the New I/O API that was developed in large part because of the needs of network programmers. This invaluable book is a complete, single source guide to writing sophisticated network applications. Packed with useful examples, it is the essential resource for any serious Java developer. 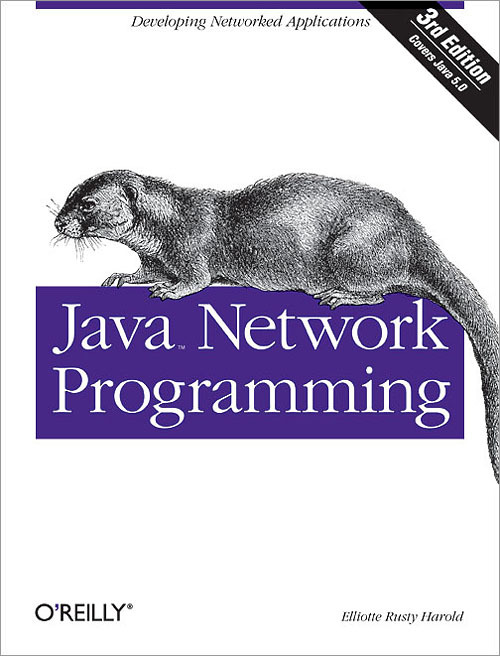 Chapter 1 Why Networked Java?